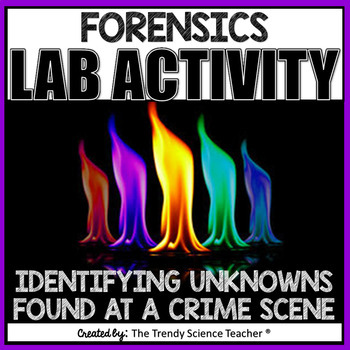 Are you looking for an engaging Forensics lab investigation that is sure to excite your students? Then look no further! 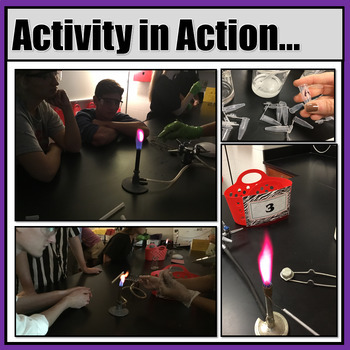 This Testing Unknown Substances Found at a Crime Scene lab investigation includes a Forensics twist on the traditional Flame Test lab. Students will receive evidence and a letter from a local detective asking them to test the unknown sample of evidence to determine its identity. 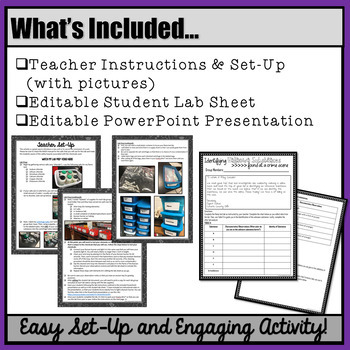 Students will burn various salts and record their chemical properties on their EDITABLE student answer document. Then, they will identify their salts and compare to the evidence to solve the crime! 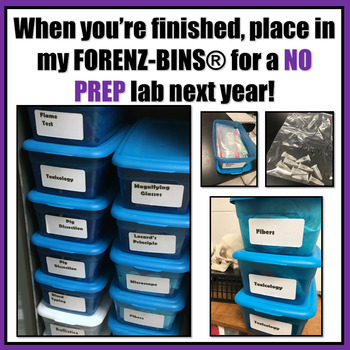 This lab was designed for Forensics students, but can be used in Physical Science and Chemistry classes for a fun twist on chemical properties. *Please go to your My Purchases page (you may need to login). Beside each purchase you'll see a Provide Feedback button. Simply click it and you will be taken to a page where you can give a quick rating and leave a short comment for the product. Each time you give feedback, TPT gives you feedback credits that you use to lower the cost of your future purchases. Feedback and ratings are most greatly appreciated. *Look for the green star next to my store logo (THE TRENDY SCIENCE TEACHER) and click it to become a follower. That's it! You will now receive email updates about this store.